10"x14" watercolor painting of Lighthouse Point Reyes California. She studied art in the St. Petersburg Academy of Art, the Art-Industrial College; and, she received BA from Leningrad Academy of Culture. While in Russia; she was a successful artist, selling her works. And she continues her journey through the art world after coming to America, resulting in her exploring the creative process. Even though Irina is an accomplished artist, she never stops learning more about the art. In 2012, she earned Fine Art degree from Diablo Valley College, California. Her passion is painting with watercolors, her main style is contemporary realism, yet the abstract paintings are not left behind. Most of her original paintings are in private collections throughout the world. She continues to show her paintings in local galleries and business offices. 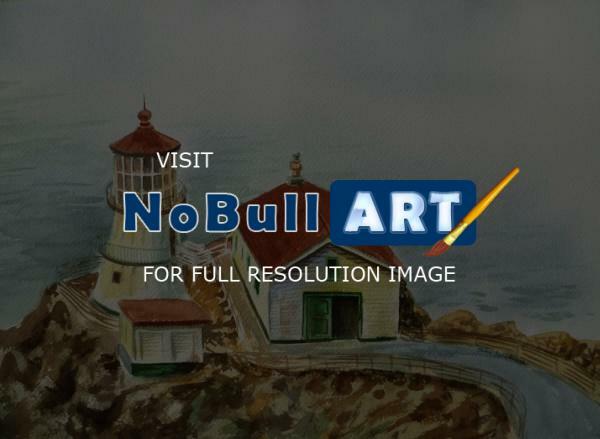 Watercolor Painting of Lighthouse at Point Reyes, California.